Occasionally when I am stacking dogs for photographs, the photographer will ask me to “fix the front”. In actual fact, it’s not the front that needs fixing but simply the dog’s balance that needs re-adjusting. We often see this kind of posting or A-framing in the ring, but why does it happen and how can we stop it? Happily, because we cause this phenomenon in the first place, we can also easily fix it. Posting is when the dog lays off its front to maintain its balance because their back legs are out of sync with their front. This stance gives the appearance of a capital “A” hence why it is often referred to as A-framing. It’s important to realise that dogs do not naturally post or A-frame and that we, the handler, are actually responsible for this occurring. Two thirds – one third, weight distribution. An amazing fact is that because two thirds of a dog’s body weight is located between their nose and the last rib and exactly half way between the two is, yes, you guessed it, the front legs. Hock not vertical thus straightening of the stifle. So when we “over stack” the rear legs, we upset the dog’s natural balance, which causes them to lay off their front to maintain their equilibrium. To avoid this, your dog should be permitted to come to a halt and stand naturally over their front without you upsetting their stability with either your hand or the lead. 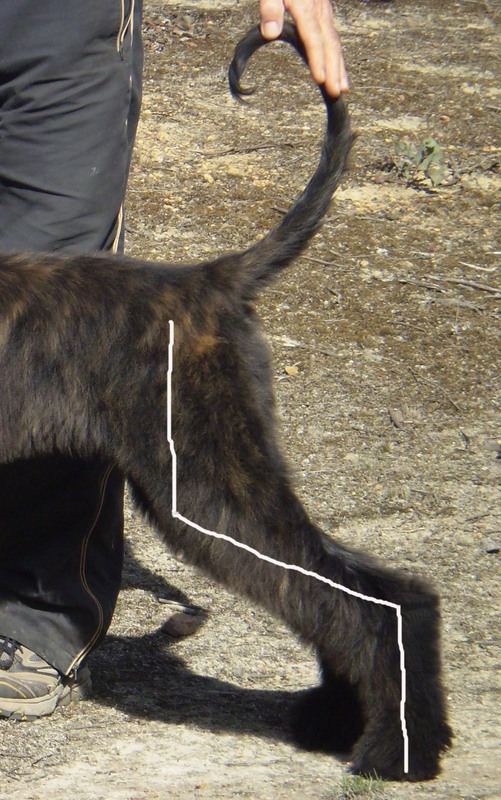 If the back legs require some minor adjusting to create the maximum angulation (turn of stifle), simply bring the hocks to a vertical line 90 degrees from the ground. As we stand on our feet, our dogs stand on their toes and what would be their foot we call the hock. When their hock is 90 degrees to the ground, our dog’s maximum turn of stifle (our knee) is attained between their first and second thigh leaving them to stand comfortably in their own natural balance. It is only when we take our dog beyond this range that we invite the posting phenomena. 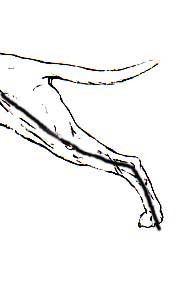 Note; Maximum angulation when the hock is vertical. The other situation that causes posting to occur is when the handler makes the mistake of trying to pull their dog forward. But when you pull your dog forward, guess what happens? Yep, that’s right. The dog will follow Newton’s Third Law of Physics which states that when a force is applied to an object, for that object to remain its balance, then an equal and opposite force has to be applied. And this is exactly what happens when it comes to posting. If you pull your dog forward, they will pull back with the same force in the opposite direction. To prevent this from occurring, instead of pulling your dog forward so they come over their front, very gently apply some backwards pressure with either your hand under the dog’s chin or the lead until you feel them trying to counter this pressure by pushing forward. When this happens, then – and only then – gently release the backwards pressure and allow your dog to come forward by themselves. Do not be in a hurry to make this happen. Instead, be patient and wait for your dog to respond naturally. Remember, when it comes to stacking dogs, slow is fast. Standing free, note; natural over front and overall balance. 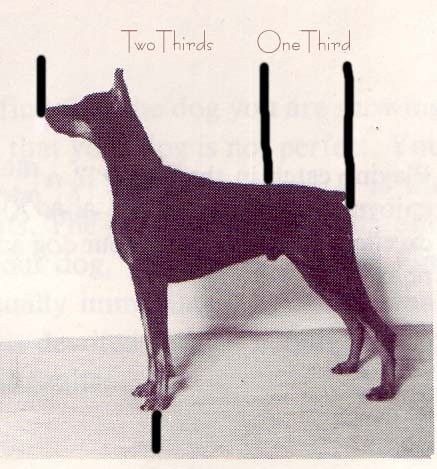 As discussed, posting or A-framing doesn’t occur when a dog stands naturally. 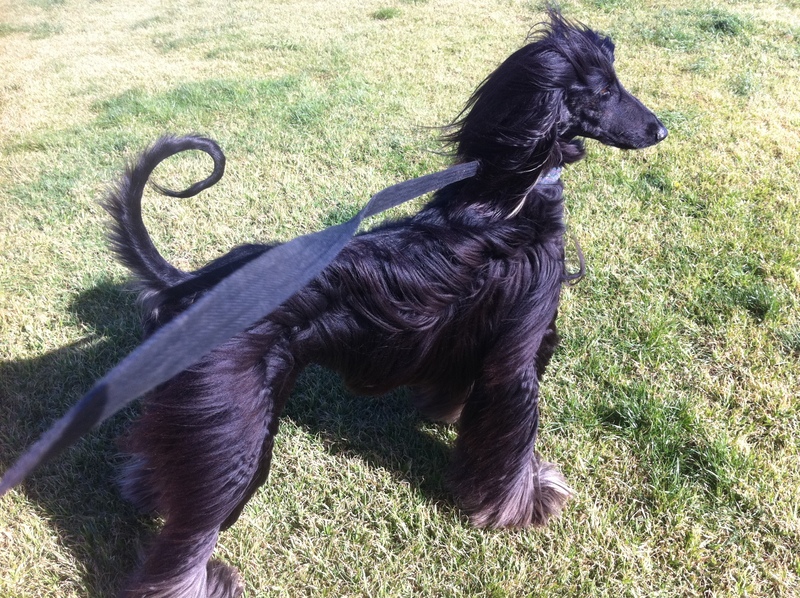 For more articles on stacking and ringcraft see Stacking show dogs parts one, two and three. You do not say how old your dog is, generally speaking puppies are very likely to come to a halt and without being asked, sit down.